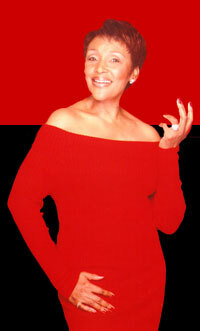 In 2005, Felicia launched her show Conversations with Felicia, on The Africa Channel. The upbeat show focuses on role models in Africa and internationally. Conversations with Felicia: Louis Gossett Jr.
Aug 7, 2011 - Felicia sits down with Louis Gossett Jr. to discuss his humble beginnings, his success in movies, and also his view of the future. Jul 30, 2011 - Felicia discusses how African American celebrities are using DNA to trace to discover their roots in Africa. Jul 30, 2011 - Felicia talks with Jonathan Butler about his life in jazz, drugs and Jesus. Jun 17, 2011 - Felicia talks with Danny Glover about Mandela, movies, and the movement. Jun 10, 2011 - Dr. Felicia Mabuza Suttle and the Africa Channel pay tribute to the life of Albertina "Mama" Sisulu and her struggles in South Africa. Jun 10, 2011 - Felicia sits down with Hugh Masekela to discuss his music and life. Jun 8, 2011 - In a conversation with Dr. Felicia Mabuza Suttle, Winnie Madikizela-Mandela talks about the challenges her and other women like Albertina Sisulu faced for freedom in South Africa. May 9, 2011 - In a conversation with Dr. Felicia Mabuza Suttle, South African born singer, Miriam Makeba talks about how she left South Africa and her return. May 9, 2011 - In a conversation with Dr. Felicia Mabuza Suttle, she interviews the cast of the award winning Broadway hit Lion King. Conversations with Felicia: Kevin Mambo, Celebrating Fela! Apr 9, 2011 - In a conversation with Dr. Felicia Mabuza Suttle, Felicia sits down with Kevin Mambo to discuss his role of Fela. Mar 29, 2011 - In a conversation with Dr. Felicia Mabuza Suttle, Somali born supermodel and entrepreneur, Iman talks about how she was discovered and her views of Africa and beauty. VOA’s Ndimyake Mwakalyelye talks on the phone with Felicia Mabuza-Suttle, a native of South Africa, who has ended "The Felicia Show" after a successful 12-year run.